About Abaco Bahamas Boating, Cruising & Bareboat Charter. Throughout our Abaco Guide we have written of the superlatives of the Abaconian waters, beautiful beaches, magnificent coral reefs and quiet coves for anchoring out in your bareboat charter. Add to that its balmy trade winds and picturesque villages. And all this spread out over the protected and relative calm waters of the sea of Abaco both above and below water. Here folks return more often that not. Promoted as the sailing capital of the world by the charter companys, it also applies too to folks staying ashore and renting a runabout for daily island hopping. As for Charting see The Real Abaco Escape below. 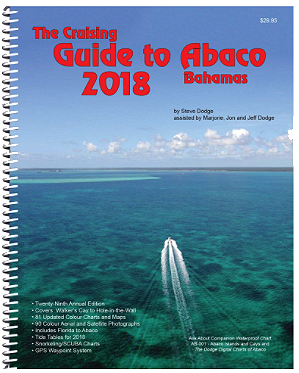 Cruising Abaco or just renting, we strongly recommend you get yourself a copy of the Cruising Guide to Abaco, it is a must even for the first time fly-in vacationer. It's updated annually and authored by state side professor and Elbow Cay resident, Steve Dodge and available in Abaco shops. Better yet get a head start and get copy stateside at West Marine or online. His guide, although geared to the cruising folks, it's jam packed with useful info not found in any Fodor's or Frommer's etc. It's colorful and so inviting. Every nook and cranny is mentioned including many not covered in our pages. It also includes a useful "Yellow Pages" listing of services, shops, restaurants, fishing and diving guides etc. Throughout our internet Abaco Guide, we constantly suggest renting a boat in order to take advantage of the Abaco waters. It's the primary reason most of us go to the Abacos albeit pricy. A weeks boat rental will probably come close to the cost of a week at your residence especially with the cost of fuel. You can figure on getting about 2-3 miles a gallon aboard a 22-24 footer with single engine. So, the approx. 25 mile round trip run from Hope Town to Nippers, Abaco's premiere out island watering hole, on Guana Cay with a stop and Man-O-War will use about cost about $45.00 for gas at March 2016 prices (4.50 gal). Remember that's for all the folks in your party. If economy dictates and you are to be land locked during your stay, you'll probably have the most flexibility staying on Green Turtle or Elbow Cay. (See Abacos in a Nutshell). Both have limited shopping, beautiful beaches, many suitable for snorkeling and lots of places to eat and stay. Still you should rent a runabout for at least a day or two staying close to your island home. In that case, a more economic 15 - 17 footer will do nicely. 1) Don't go out into the ocean, and don't use your boat at night. It's also prohibited by most rental agencys. The Ocean side of the cays, as well as many of the passages between them are strewn with BELOW SURRFACE reefs. 2) If you rent a boat in the area defined as the Hub of Abaco (Guana, Man-O-War, Elbow Cay, Marsh Harbour) stay there. Don't try to go north of the Whale Cay Passage. Whale Cay is just north of Guana Cay. Conversely, if your staying at Green Turtle don't go south of Noname Cay, the Cay just to the north of Whale Cay. 3) The Whale Cay passage lies between Guana Cay and Green Turtle Cay. It often shoals up considerably on the Sea of Abaco side towards Mainland Abaco due to storms out in the Atlantic one often doesn't see. As a result larger draft boats (3 1/2+ Feet) are forced to go out into the ocean around Whale Cay and back in. This is not usually a problem except during those storms when ocean waves pile up on the Sea of Abaco inside and around Whale Cay. The resulting large surge (sometimes breaking) which can lift you up and drop you down damaging your running gear even in a runabout. Know your tides and conditions too before transiting this area. Its broadcast on the "Cruisers Net" every morning (see below). NOW, on the other hand, if you feel confident and are a boater with some navigation experience, you might want to consider what we often do, pick up at least a 22 footer in Marsh Harbour upon arrival. We use Rainbow Rentals as they are at the harbours edge, making for a quick "Shoot out of Dodge". Knowing the tides, we then trek north on the inside of Whale Cay, for the 30 miles for Green Turtle. We spend a few days head south to Hope Town for a few more days, using each as a base to see the surrounding cays. As said, this inter island approach will require some boating and navigation experience or common sense added to a copy of Dodge's Abaco Cruising Guide. Lastly, imagine this scenario: You've just arrived and, you've committed to a rental boat with an approximate pick up time and a squall is passing. Well it's not so crucial upon arrival as you can wait for a squall to pass before heading out. It's a little more complicated on your return with a scheduled flight. You'll just have go anyway. However, there is a solution, I'd suggest considering what we often do, we return the boat the afternoon before, spend your final night in Marsh Harbour at the Lofty Fig or Conch Inn and hit restaurant row. No rush or hassle in the morning either. Above - the Albury 23 shown in two configurations. We should mention, a good many runabout rental companies offer the Man-O-War built Albury Bros. Boats. A few words about them is in order. The Albury family have been building boats for generations while adding refinements as needed for the Abaco waters. One day we were pounding along in my 22 footer. To my starboard side was an Albury 23 slicing through the 1-2 foot waves with very little up and down movement. I then realized what the fuss was all about regarding this boat. Reservations; Strongly suggested and if you plan a trip in season, May - July and are considering a runabout rental you should book months ahead especially if you want the boat for a week or longer. As for Boat Size, (runabouts) when confining yourself to the surrounding waters of your Cay, a 15 - 17 footer will do. For longer distance inter island hopping, IE . Elbow Cay or Green Turtle to Guana, 22 feet or larger is recommended especially if you plan the 30 mile trip up to Green Turtle Cay from Marsh Harbour. I'll say again, the latter approach is not recommended for those without boating and navigation experience or at least common sense. Weather can also be a factor and once you've committed to a rental, you're committed. (Such as an early morning return in the rain with a flight to catch.) Remember the Sea of Abaco with any breeze of 15 knots or more can frequently get choppy and a 10 mile trip can often be uncomfortable in an undersized runabout with the wind in your face. Catamarans can eliminate most of the chop. Being a cat owner myself, I can attest to this first hand as I made a Solo Trip to the Abacos from Florida's west coast in my 26 foot Glacier Bay Cat and a second two years later - but that's another story. During the winter months, December through April, you'll experience cold fronts passing through about every other week and dropping the temperature about 10 degrees. They can minimally make an extended trip bumpy either going or returning depending on wind direction. A Tip: This is not uncommon. We were aboard our usual 22 footer headed to Guana Cay with friends. The ride was lovely. While at Nippers a typical afternoon squall kicked up and passed us by, but in the storms wake the winds shifted leaving 10- 15 knot wind from the south east, so we pounded all the way back - not fun. A 17 footer with a flat bottom would have been worse, a Cat, better. Docking Protocol: There are a couple things to know about docking in the Bahamas that may differ from your experiences stateside. Number one is docking / tying up. Because of the limited dock space, parking parallel to the dock is out of the question. The standard procedure is to pull up to a dock bow first, thus allowing 2 to 3 times the boats per linear foot of dock. This is done by dropping your stern anchor about 3 boat lengths from the dock while going forward to tie up to a piling. After unloading your boat, tighten up on your stern anchor a little to prevent the boat from going under the dock during any change of tide. The tide in the Abacos is about 3 feet. I have witnessed a poorly tied boat slipping under a dock and as the tide came in, got stuck underneath the dock often causing severe and costly damage. As for docks, there are docks everywhere. The Government docks are usually conspicuous due to the amount of people hanging about and number of supplies piled up. They are public. but keep the end free for commercial traffic and ferries. Just about every resort and restaurant has a small boat dock for it's visitors as do many rental properties. Radio Usage is the second protocol. Since most boats come with VHF Marine radio, protocol dictates Channel 16 is for hailing or Emergency and distress. You first call your party on Channel 16 and then switch to a their suggested working channel. In the Abacos these are usually 11, 12, 13, 14. A VHF Walkie Talkie is the second thing we pack. In the Abacos there is what is known locally as "The Cruisers Net". It's an all volunteer radio broadcast on Marine VHF CH 68 every day at 8:15 AM. It's been described as a combination CNN, Weather Channel, Entertainment Tonight, Discovery Channel, e-mail forwarding service and emergency broadcast system all wrapped up in one. Here you will find out where the barbecues are and where the bands are playing etc. Following that there is a check in period for new arrivals and a departure period to say your good byes and or recruit a buddy boat. There is even a question period for new folks like YOURSELF. One might ask "what is the treatment for sea lice" or where can I buy some unusual product. The broadcast emanates from Marsh Harbour and is easily received on Man-O-War, Guana Cay, Elbow Cay (Hope Town), Regrettably reception is poor on Green Turtle (30 miles to the north). For more on VHF Radio, see Cruisers Net. Green Turtle Cay: The oldest here is Donnie's Boat Rentals . He's been around since the mid 70's and so have some of his boats. Just the same they somehow always run well. He can be reached at 242-365-4119. There is also Reef Rentals a newer company and thus newer boats 242-365-4145. And finally, still a newer company called Sunset Marine Rentals 242-365-4634. Great Guana Cay - With more and more folks renting homes on Guana we are happy to report that Troy of Dive Guana fame, now has a few boats in the 21 - 23 foot range for rent. He also rents kaiaks if that's your thing. Treasure Cay - The boat rental there is at Treasure Cays Resort marina. J.I.C. Boat Rentals. 242-365-8582. Treasure Cay's Marina access is on the Abaco mainland just south of the Whale Key passage which means you'll have to cross over it's shallow bank if heading north to Green Turtle. This generally isn't a problem in an outboard unless the rollers are high. But from Treasure it is a straight quick shot to Great Guana Cay and a half hour run to Marsh Harbour. Marsh Harbour - Chances are you'll arrive hear anyway, so save the water taxi fare to Hope Town, Man-O-War or Guana and rent a boat here. I usually rent from Rainbow Rentals the closest to the airport and because of the size and variety of his fleet. 242-367-4602. It's the closest to the harbour entrance making for a quick getaway to the cays and avoiding the inner harbour no wake zone. They have a fleet of 22 footers, their staple, with full bimini tops to cover all seated not just a tee-top. They come equipped with two anchors, fresh water shower and VHF radio. It will pound a bit in a heavy chop. So for a smoother ride, they also provides Catamarans. If you can afford the extra price and an extra engines gas - go for it. They have the ability to slice through a choppy sea and smooth out your ride considerably. Rich's Rentals 242-367-2742, has been in Marsh Harbour longer than I can remember and offers 21 and 26 foot boats which you'll see everywhere. Another very popular boat rental agency is Sea Horse Rentals right at the Boat Harbour Marina in Marsh. They also have facilities in Hope Town 242-367-2513. They offer a great variety of boats to choose from. It's owner is Capt. Stafford Patterson, of Captain Plug Adventures acclaim. Blue Wave Rental's boats are another common site in and around the Hub of Abacos. They are located at new facilities at The Harbour View Marina downtown and offer a fresh water swimming pool, bar & grill 242-367-3910. The newest agency you will find downtown in restaurant row is Abaco Dorado Boat Rentals 242-367-1035, a relatively new company offering Dusky 22's & 26's. Man-O-War - If you are planning to stay on this cay you might want to look into Water Ways Boat Rentals owned and operated by Jay and Samantha Sands. They offers complimentary pick up from Hope Town to Marsh Harbour to Guana Cay in one of their Albury Bros. boats. And they can assist you with a rental property also. 242-365-6143. Elbow Cay (Hope Town) - Just 5 min. outside of Hope Town Harbour on Parrot Cay is Island Marine Boat Rentals 242-366-0282. They will come pick you up anywhere on the Cay. And, they might ask you to take them home (it's not far). They have a large fleet of the Man-O-War Albury Bros. boats and boast to be the first rental boat company to offer them. 242-366-0282. Oh, the owner Dave Gale, has a fascinating story to tell -it's here. Already mentioned, Sea Horse Rentals has an office in Hope Town 242-367-2513. And finally there is the small fleet of new boats for rent at Cat's Paw Rentals run by Elbow Cay native Harold Malone 242-577-0517. Many folks come to the Abacos for its fantastic cruising and live aboard opportunities - The Real "Abaco Escape". They charter a boat with or without captain. Charters are available captained, some even with a cook. Still other folks and friends go it alone with a bareboat charter, planning their own itinerary and provisioning. In any case the superlatives of the Abacocian waters cant be mentioned enough. Beautiful beaches, magnificent coral reefs and quiet coves for anchoring out. Laid back watering holes, balmy trade winds and picturesque villages. And all this spread out over 80 miles of the protected and relative calm waters of the sea of Abaco. Promoted as the sailing capital of the world by the large charter fleets residing in Marsh Harbour, there are other chartering opportunities. A couple smaller fleets are based in Hope Town which will pick you up in Marsh and there are sill other single boat charter folks too. Twenty years ago most charter fleets consisted of monohull sailboats. Today there are just as many sailing catamarans with an equal amount of motor cats. They all range in size from 34 to 49 feet.  The cats with their shallow draft are particularly suitable for the shallow waters of the Sea of Abaco in both sail and more recently, power. Another advantage is sailing cats go faster than monohull vessels which allows a trip up to Green Turtle on a cruise of limited time. In some cases they can also be beached. A bit of history. There have always been charter fleets in the Abacos. Some of you will remember the one time big gun of charters - CSY (Caribbean Sailing Yachts). They had an fleet in the Abacos (as well as the BVI) with their most popular cruising boat being the Morgan Out Island 41'. Some might even remember their Pearson 39. It had a glass through hull window in the main state room where it's occupants could lay there at night and watch the fish. Of course you'd have to hang a light over the side. Then early in his dictatorship Mr. Pindling, the first Bahamian Prime minister decided to levy a duty on all boats in the Bahamian waters staying longer than 6 months. No exceptions. You could of course exit, prove entry to the US or another country and then return. But could you imagine a whole fleet of 20 - 30 sailboats having to do that. So the fleets pulled out, except one, The Abaco Bahama Charters. CSY is no longer in operation and Abaco Bahamas Charters saw a change of management causing disruption in services and many unhappy folks. By early 2009 they pulled anchor for the final time. The good news was the election of Mr. Hubert Ingraham. He was the Bahamas second prime minister, who was tourist friendly and a native of Abaco. He removed the cruising restrictions and allowed extended stays with a permit. The charter fleets returned. Today, there are approximately four charter fleets in the Abacos. The largest being The Moorings. They are based at the Conch Inn docks in Marsh Harbour. Sunsail Charters who bought the Moorings in '05 and operate independently has recently expanded its fleet operations to include Marsh Harbour. Included in their fleet will be their popular Sunsail 362 and their Cat, the Lagoon 380. In addition to mono hull craft both offer catamarans, powered and sail. Still other charter companies base themselves in Florida for the more adventurous who want to "sail over" themselves. Based in Hope Town you'll find Abaco Multihull / Maine Cat Charters. Both have teamed up to offer both bareboat and captained charters on "Marine Cat" 30 & 41 catamarans. A newcomer a/o '09 is Alpha Cat Charters, were you can be captained by day, leaving you to your own devices by night. If you're not a sailor and would like to learn or bone up on your skills and make it all part of an Abaco vacation, why not check out Cruise Abaco Charters. In addition to their fleet of powered and sail cats, the owners can even the provide a rental home on Lubbers Quarters. New to the Abaco scene are long time sailers Eric (licensed captain and sailing instructor) and Nathalie Savard. Eric has ocean crossing experience and speaks English and French. With Nathalie you can also include Spanish and her certification as PADI (scuba) Instructor and enjoy great food. They would love to show you the Abacos both below and above the water aboard their 41 foot Ketch. Details here:�www.sailanddive.net, and you'll love their website's slide show. The Author of this website has made six trips to Abaco by boat from the west coast of Florida through Lake Okeechobee. His first crossing was described; "I realize people do this regularly but there is no time like the first time. Sort of like your first kiss, if all goes well a memory to be cherished. Then low and behold there it was rising out of the horizon, the West End water tower." More on Sandy's Abaco Adventures aboard his Motu Iti, all three of them.